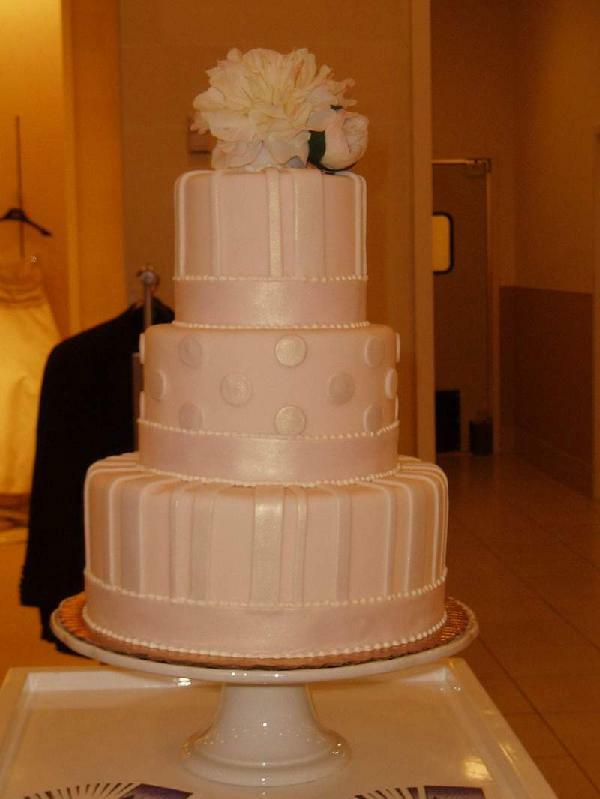 I Picked My Wedding Cake! Are you still flipping the ends of your hair, zigzagging your part, or still sporting the Rachel look? Then you, I’m talking to you, it is time to get a new hairstyle! A new hair style can be scary, especially if it has been a while since we got are hair cut. 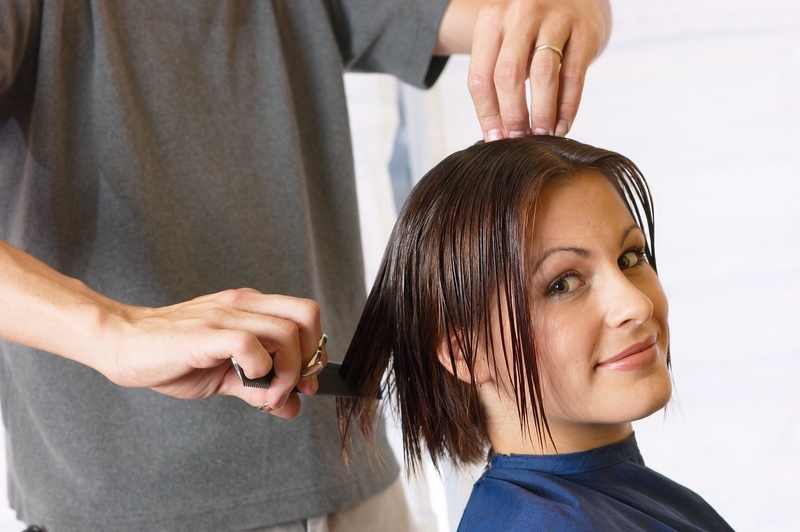 Everyone has experienced a time when they got completely butchered at the salon. It could have been a bad cut or just a cut that was bad for you. There are many things you need to consider when getting a new hairstyle. What looks good on your favorite celebrity may not look the best on you. So here is my list of things to consider when choosing a hairstyle. Follow these rules and you are sure to get a style that is perfect to show off your inner diva! Is your hair straight, curly, or somewhere in between? Do you have tons of hair, or is it a little thin? Your hair type can affect what style you choose. For example, if you have super curly hair, a bob wouldn’t be right for you, unless you want to spend countless hours in front of the mirror with a flat iron!!! Plus if it is humid that hair you just spent hours straitening will curl or frizz up in two seconds flat. 2. What Shape is Your Face? The shape of your face is very important in determining which hairstyle works for you. Face shapes are commonly listed as oval, round, triangular, square, heart shaped, and oblong. Learn your face shape and pick a hairstyle which flatters that shape. Oval: Lucky you! You can get away with nearly any hair style you want, keeping in consideration your exact features. To bring out your eyes, short, wispy bangs can help, or just wear your hair completely off your face. If you want to show case fabulous cheek bones, you can pull your hair back tightly and wear your bangs cut straight across. Square: You probably have a wide forehead and an angular jaw line, so to soften the look of your face, wispy layers or loose curls can go a long way. A too-short hairstyle can make your face look harsh, so it’s best to keep your hair longer. Round: Want to create the illusion of oval with sides close to the face and height at the crown. The shag is often good for a round face. Short styles with lots of volume all over will make this face shape look pudgy, so you’ll want to stay away from that. Try something that is shoulder length, with the volume below the jaw line, and perhaps no bangs. If you must have bangs, again, a side swept bang will look nice on this shape. Diamond: This means that you have a narrow forehead and chin, with your cheekbones being the widest part. It’s generally best not to wear your hair shorter than chin-length with this face shape. You won’t really want your hair to closely frame your face, either, so try something that falls loosely around your face, rather than covering up parts of it. Pear: Should have a style that focuses on the top of the head and take attention away from full cheeks. The shag works for this shape, too. Heart: This shape is basically just an inverted triangle; your chin will be narrow, and your forehead wider. To balance this, try a style with slightly more volume around the chin, such as a chin-length bob with layered ends, or curls at jaw level. Side-swept bangs, if done right, can go very well with this face shape. Rectangle: Your face is long, so bangs that fall to just above your eyebrows will shorten it. Triangle: If you have a triangular face, you have a narrow forehead, narrowest at the hair line-and a wider chin. To counter act this, avoid styles with a lot of volume right at chin-level. It’s best to wear your hair longer than jaw length, and use soft layers or a soft curl at the ends to soften the angles of the jaw. Also, since your forehead is already narrow, avoid heavy, layered bangs-instead, wear no bangs, or, if you can’t stand having your forehead showing, try a light bang, cut straight across, and also cut to the width of your cheeks. This will give the illusion of a more oval face shape. Consider how long or short you want you hair to be. If it’s always reached the middle of your back, you could trim it to shoulder length to give your locks a break. But cutting it to chin length might require some smelling salts when your stylist is through. Do not do anything you are not ready for; you can always go shorter the next time. Also remember that pictures can sometimes be deceiving. What looks not so short on someone else, may seem super short if you are not used to hair that length. Also, keep in mind that extremely short hair works best with delicate faces. 4. Are you High Maintenance or Low Maintenance? Not only should you think about how a hair style flatters you, also consider whether you have the time and skills to maintain your new look. If you need an hour a day, a blow dryer, a flat iron, and three kinds of mousse, but you have to be at work at 8 a.m., then maybe you need a more low maintenance look. I know you are all going to hate me when I say this, but you have to use the right products to achieve the same style you received at the salon. I know none of you want to believe your stylist when they tell you this, but it is true. They are not just trying to sell you things you do not need. Do you have to buy everything they use on you? Of course not, but get the main ones that you could not achieve the style without. For example, if you have horriblely fine hair, invest in the Volumizer! If you just use the proper salon products, the right shampoo and conditioner for your hair type. A little time and a good haircut can go along way. Once you answer these questions, search for your new style. Look through magazines to find one you like. Take it to your stylist and ask their advice. If your stylist doesn’t agree with your choice, don’t be angry. Instead, ask what they would suggest. They may have something in mind that’s even better. Once you figure out what suits you, let the scissors fly! If your bridesmaids or groomsmen enjoy drinking, then this is the perfect gift for them. This is a mold that will make ice-cube shot glasses. They will never have to take a warm shot again! 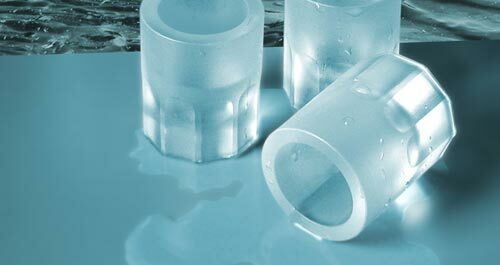 Cool Shooters ice tray makes four fully formed frozen shot glasses. Just fill the silicone mold with water or your favorite juice, freeze and you’ve got a great way to add a little nip to your favorite sip! Check it out! 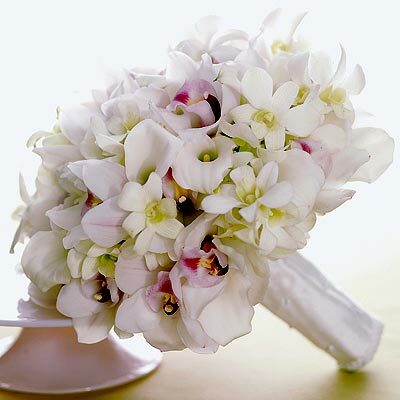 Weddings can be sweet, romantic celebrations of the love between a man and a woman. Or they can be a great excuse to stage a Civil War reenactment. 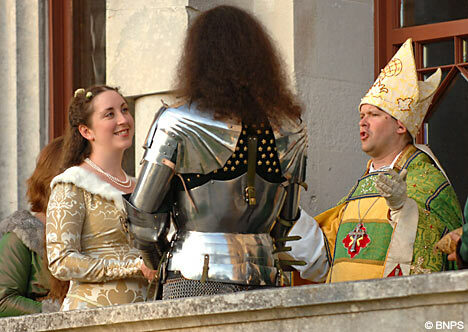 Whatever your pleasure, weddings are often very reflective of the couple’s personalities. 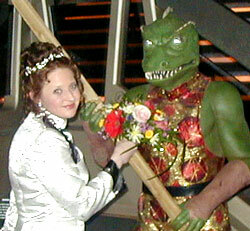 People that have so-called “geeky” pastimes, like, say, computer programming or dressing up like Ewoks, have been known to let those passions shine through during their matrimonial procession. 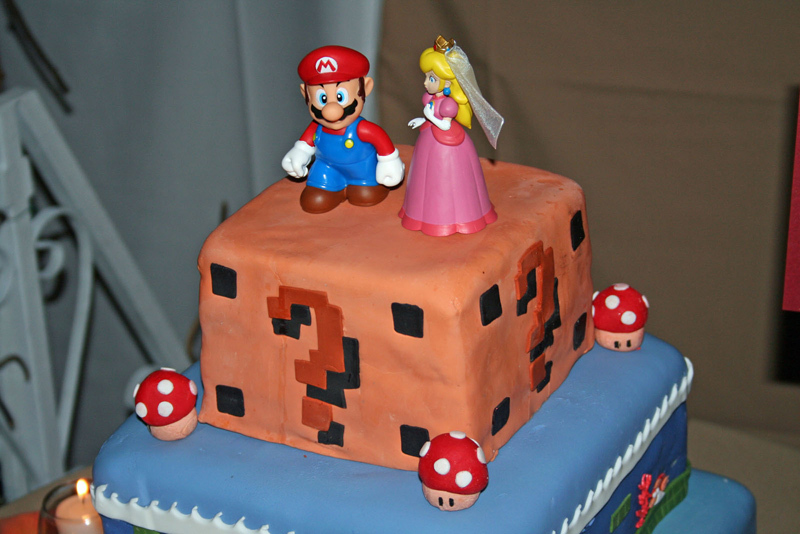 Here’s a list of some of the geekiest weddings to be documented on the Internet. Also, please don’t miss this video montage of photos from geek weddings across the world. Art and Patty : This couple clearly doesn’t take themselves too serious. They got hitched at the Star Trek Experience in Las Vegas and spent their wedding night in a Dracula-themed room with a coffin-shaped bathtub! While they had a “Klingon Ceremony” and were married by a Starfleet minister, Patty confesses that the couple wasn’t diehard enough to consider themselves “true Trekkies.” But they did get a kick out of a Klingon ceremony they saw on an episode of “Deep Space Nine,” and swore they would have an identical ceremony if they ever decided to get married. After their ceremony in Vegas, they were “beamed” aboard the Starship Enterprise and launched into an I-Max simulated ride through the galaxy. Mako and Miko: These two computer hackers look like an average couple in their wedding photo, but never fear – their vows held a significance only a geek could understand. To communicate their love, Miko and Mako chose to write their vows to reflect “mathematical significance,” writes their friend in his blog entry. “The numbers of letters in each word in each vow matches a consecutive digit in the decimal expansion of a famous mathematical constant.” Using the numbers Pi and Phi, Miko and Mako managed to construct quite lovely vows. Click here for further explanation of the vows. Warning, though, non-geeks may require a couple of read-throughs to fully grasp how they did it. 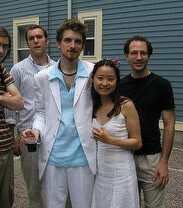 Michael and Janell: At their “Jedi Wedding,” couple Michael and Janell dressed like Princess Leia and Hans Solo. The groomsmen held the requisite light sabers and the bridesmaids looked like they came straight from a forest hamlet. The bride explains that for her and her hubby a “Star Wars” wedding was a “presumed necessity.” The couple met at a Star Wars trilogy party in Hollywood, and while they initially didn’t plan to use it as a theme for their wedding, Janell writes, “While driving home from seeing the digital release of ‘Episode 1: The Phantom Menace’ we were discussing the elaborate Naboo scenery, the Queen’s wardrobe, and other visual virtues of the film when it hit us simultaneously: THIS setting would make the perfect theme for our wedding, in honor of how we met.” The couple even shares “How-to” secrets and resources for others interested in staging their own George Lucas-inspired nuptials. 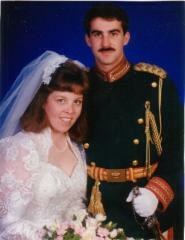 Wesley and Faith (album): This couple tied the knot at the 2003 Texas Renaissance Fair. Dressed in traditional costume, the bride and groom outfitted their entire wedding party accordingly and capped the ceremony off with the groom presenting the bride with his sword. Nathan and Kelly: “With this click, I thee wed.” That’s the opening line on the wedding video of Nathan and Kelly, two big-time gamers who got married in a combination virtual and real time ceremony at the Sony Online Entertainment Faire in Las Vegas. Both big fans of the game “Everquest,” an online fantasy game, the pair were married by a Vegas pastor on stage at a buffet dinner at the end of the three-day gaming expo. 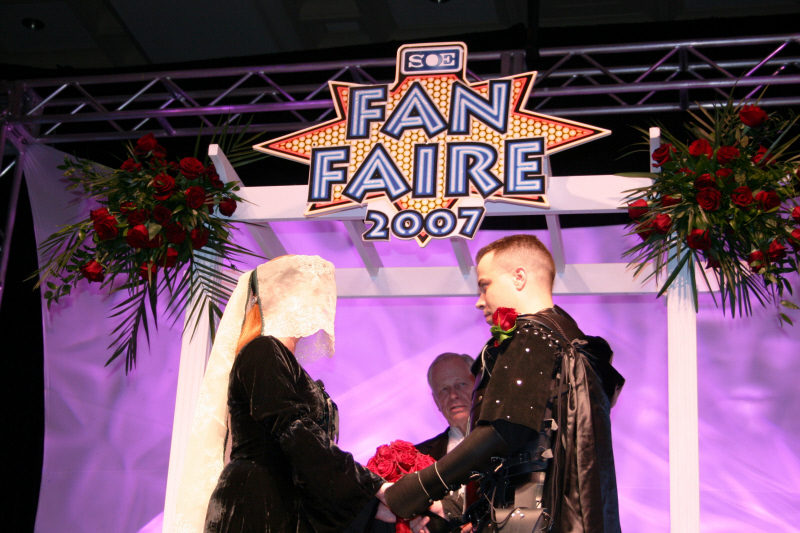 Darth Vader and characters from “Everquest” were part of the bridal procession, and after sharing a real-life kiss on stage the couple was invited to “step into their future in Everquest.” Taking their game controllers in hand, the duo’s game characters, Lady Quaddra and Lord Garthan, were pronounced Mr. and Mrs. Stormslayer online. Zombie Weddings (video) : This couple was married during the annual Zombie Walk in San Francisco in 2007. Zombie Walks are organized public marches of participants dressed up like Zombies. Check out the related video section – turns out the zombie theme is quite popular at weddings! Cory and Christi: Nintendo fanatic Cory was only allowed to take his geekiness as far as the decorations, but this Super Mario Brothers cake is truly excellent. But even more excellent was the fact that the couple had a Legend of Zelda ice vodka luge. Here’s hoping someone took away the controllers at the end of this reception. Elizabeth and Chad (album): This couple’s wedding was thoroughly documented on their website titled, “The Geek Wedding.” There were no space themes, video game vows, or sword presentations, but there is a podcast and painstakingly detailed blog kept up by the bride. She even took an online survey to determine which veil she should buy. 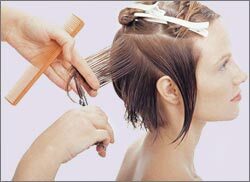 Often Brides opt not to get haircuts regularly because they want to grow their hair out for their wedding. However, when you don’t get your hair trimmed the hair becomes prone to split ends. Once the split ends start they will split all the way up the hair shaft, making your hair thinner and unhealthy. It will also take volume and luster away from your hair. The average person’s hair grows about ½ inch to an inch a month, therefore you need to get your hair trimmed at least once every two months. You will need to get it trimmed sooner if you start noticing split ends. It is best to get all of your split ends gone to get full lustrous hair. No one wants long hair that is unhealthy and thin, so regular trims DO matter. Looking for a way to appeal to your guests’ sweet tooth? Then these Pink Meringue Drops are sure to do the trick. 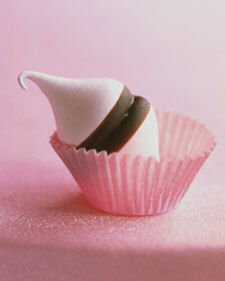 These little sweeties are an elegant and sweet concoction that will leave your guests yearning for more. Serve this little dessert as a favor or as an additional dessert option. 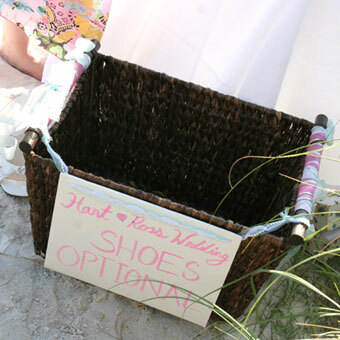 They are also perfect for a Valentine’s Day themed wedding or a pink color scheme. Check out the recipe. Martha Stewart always has the best ideas! This wreath is actually meant for Valentine’s Day, but I think it would work perfect for a wedding. 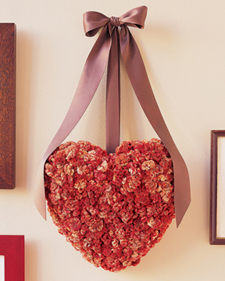 These heart shaped wreaths are a sure fire way to spice up the entryway of your reception. Hang one on each of the doors of the reception hall and you have a breathtaking focal point that is sure catch your guest’s attention. 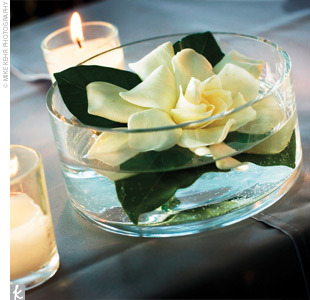 This design could be altered to fit almost any wedding by simply using a different flower. For example, I think red roses would make this design simply breathtaking and give it a more elegant look for an evening event.